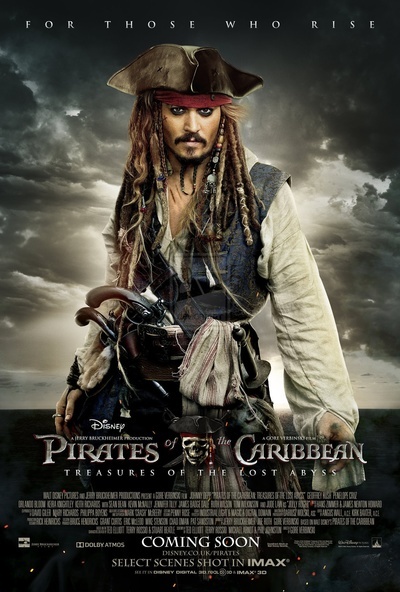 It has been confirmed that Captain Jack Sparrow is heading back to the big screen once more with Pirates of the Caribbean 5: Dead Men Tell No Tales due to start filming in Far North Queensland, Australia in early 2015. Are you excited at the prospect of seeing another Pirates of the Caribbean sequel or rather tired of the blockbuster franchise? I have only seen the first film. I enjoyed it, but not enough to bother watching the rest. I will never grow tired of Captain Jack! I am not at all excited! I do not like sequels particularly -I find they are not as good as the original so would not go and see it anyway. It was done and dusted with Pirates 3 - the fourth film was an unwelcome addition that never quite clicked and seemed smaller in scale than the others.